Canada's ultimate hockey insider brings readers the lowdown on the personalities, the dressing rom banter, the chalktalk, the sweat-stained passion behind eight of the most famous goals that changed the game forever. Among them are Guy Lafleur's notorious "too many men on the ice" goal in 1979, Wayne Gretzky's overtime goal in Game Two of the Smythe Division finals in 1988, Paul Coffey's dramatic counterattack in the 1984 Canada Cup against the USSR and Brett Hull's disputed 1999 Stanley Cup winner. 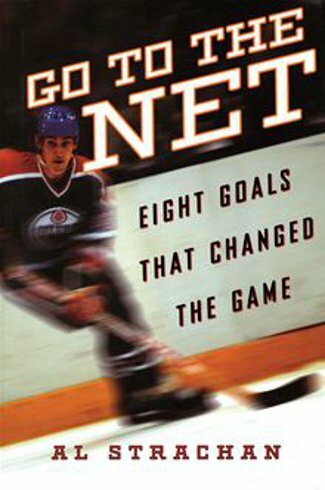 In Go To The Net Al Strachan passes on, in the trenchant style of his famous columns, insights into the goals that tell us not only about the way the game has changed but also about the gritty soul of hockey that will never change.